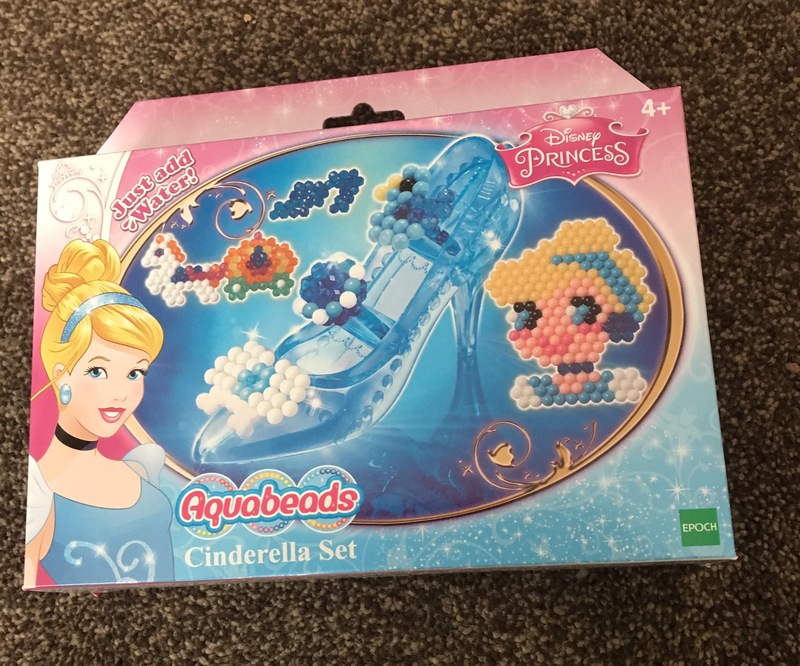 Our latest Aquabeader set is Cinderella themed, something which both my girls love. 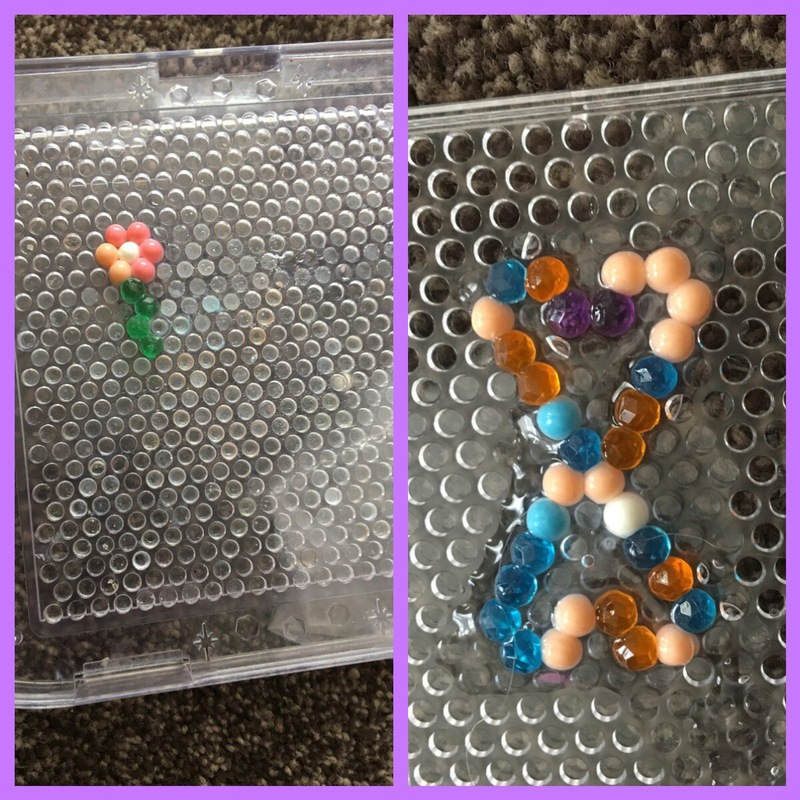 As well as lots more beads, this set also comes with a glass slipper to decorate with aquabeader creations. Don’t worry, the shoe is made of plastic, not real glass but I guess that’s what people will refer to it as. 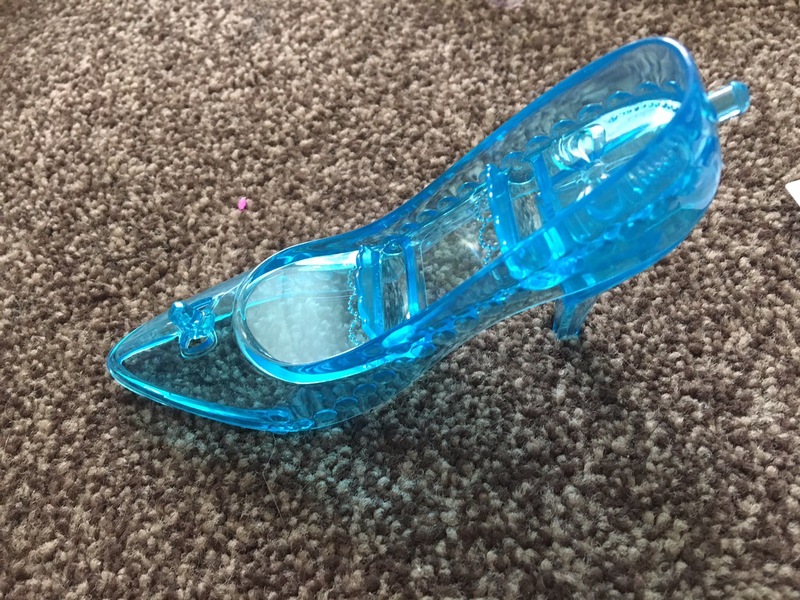 As always there are a few templates too with Cinderella themes both little and large. My girls and their friends focused on the small patterns such as the bows and flowers. I however decided to be a little braver than normal and attempt the big main design, being Cinderellas face. I must be getting better as I did not find it too difficult, more time consuming than anything and annoying when the beads won’t stay in place; but here is my completed and dried finished design. 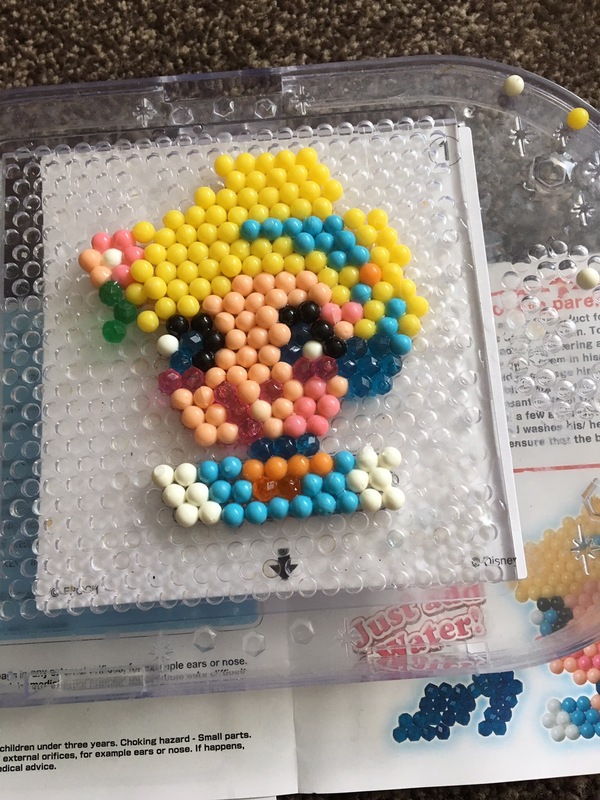 I messed up ever so slightly on one of the eyes I think and I also seemed to somehow run out of the specific colour beads that I needed (I think Jordanna maybe used them for other things) but hey ho I got their in the end and finished it. This set costs about £10.00. You will need an Aquabead tray to use this set which can be purchased as part of a starter set or one of the studio sets which vary in price.